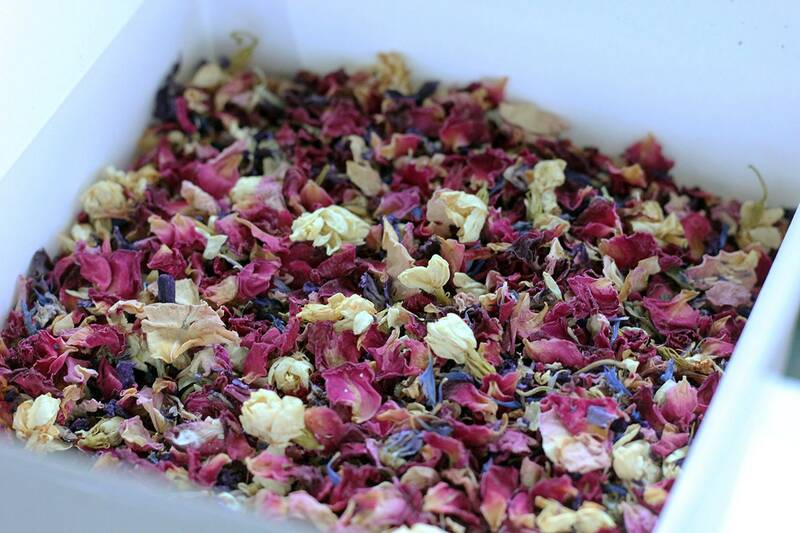 A lovely, natural confetti for your guests to toss as you take your first steps as newlyweds. Add a little extra magic to your wedding photos. 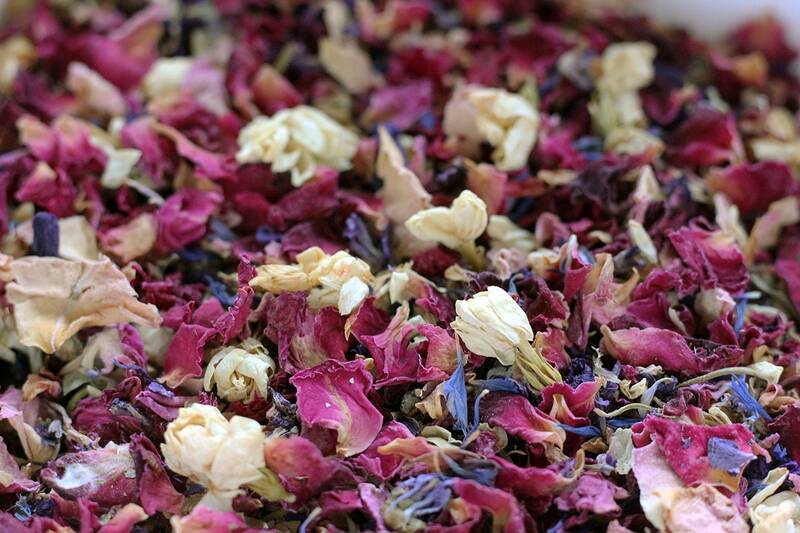 A mix of pink and red rose, with yellow and ivory blossoms plus seasonal blue petals. Please note this petal confetti is not made of Dahlia petals! Unsure of how much confetti to order? One portion is 1/4 cup, equivalent to one - two small handfuls. So depending on the how much of a confetti shower you want, I recommend you supply half to nearly all your guests. Everland also supplies confetti cones, personalised pouches, organza confetti bags and favours. I can answer any questions you have and discuss special requests. So beautiful and smells divine!